○ Meeting discussed our military situation and came to know that we achieved preparation to carry massive guerrilla war. Meeting calls for starting massive military activities in all the regions under sector no. 1. Rules regarding approval are as before. At present, our principal task is military work. When doing that, we may have one-sided error, that is, not considering the whole, deducting or giving less emphasis on secondary works and doing principal work only etc. If so, we shall not have expected result but losses. Success of all the secondary works are connected to that of principal work. Secondly, military success will be meaningless if we cannot preserve the results through secondary works. In Payarabagan and Front no. 2, results were not preserved through military works. Consequently, expected results, cadres, local works, shelters and monies were not achieved. Do not repeat the same mistake. Despite military work is principal, ideological work should be given priority than that because idea controls practice. Therefore, in all the works, we have to keep continuing the movement of changing idea and correcting working style and learning form comrade Siraj Sikder. ○ We have to concentrate on one or one more regions for armed struggle by considering our work, situation of enemy and rivals and geographic terrain in whole region. ○ Build local organizational team/group/committee to carry organizational work who will carry organizational responsibilities and combine organizational work with comrades engaged in armed struggle. As a result of armed struggle, people of vast areas will want to join party. Organize them via organizational team. They will carry works like local propaganda, communication, monetary, improvement, national enemy annihilation, shelter for regular force, mange sheltering system for comrades coming from other regions, investigation etc. This arrangement is necessary where regular force will be built or leading cadres will be engaged in important operation. Consolidate important sub-regions and areas for armed struggle. Withdraw important cadres and guerrillas from less important areas of the regions or where armed struggle will not go on. Appoint less important comrades for withdrawn areas. It is better to have Relay Center and Courier for every region. Take care so that in no way, disconnection happens within us and with higher levels. Develop inter Sector communication system via wireless and walkie talkie. Take care of their activities and that of such regions where armed struggle is not going on and appoint cadres to do the above-mentioned works. Start security system. So, we shall have proper eye on the whole organization as well as armed organization. ○ Must apply no. 1 decisions of the meeting of sector commanders of special military region with comrade Siraj Sikder, resolutions of the meeting of the Bureau-in-charge with 1-A sub bureau and some guidelines regarding military operation. We must be very much cautious so we may not have one-sided error in military work. One-sided error must make military work fail. For example, what would be the benefits if we had not withdrawn from Payarabagan, was not considered. So the historic events did not happen what might happen in case of not withdrawn. We must take care of the following aspects and their interrelations when carrying military activities. ○ Military areas outside Sub-sector will be directed directly by sector commander. If necessary, that area can be included in any other Sub-sector or it can be developed into a Sub-sector. ○ Send maps of sectors and sub-sectors to in-charge of the special military region. If maps are not available, make it by hand specifying up to village. Each commander must have maps of the areas under his/her charge and the areas that are going to be coordinated. ○ Provide Medical Team and First Aid Training to each Sub-sector. Make medical team with those who are inefficient in military and organizational work, and finally include one Bare-footed Doctor for each guerrilla group. ○ Preserve such hand grenades that do not have fuse and from higher level learn how to use it. ○ Develop work among boatmen and different type of boats with proper importance. Appoint special people for that. ○ Do not give real name to the targets but name those differently (like x, y etc.). ○ Apply method of commando attack to seize smaller bases of enemy. ○ Keep system so that despite losses work will not be blocked. That means, do not do decisive type of activities. Our many guerrillas and good cadres lost their lives when taking food in invitation and through shelter that was enemy trap. Must keep serious caution about unity talk. By taking the opportunity of severe mass discontent against Bangladesh puppet government and its master Indian expansionism, spontaneous or a little bit organized armed activities is going on in some places of East Bengal. These are happening because we do not have huge organization and armed struggle under our leadership to utilize the consciousness of masses. It just manifests our weakness. Some of those who are carrying those activities are claiming that they are guerrillas of ‘Muslim Bangla’. They are cadres of JSD (National Socialist Party—CPMLM-BD). Their activities and the position of ‘Muslim Bangla’ finally prove that the JSD is US lackey. We do not have to be confused by our competitor’s activities in seizure of political power of East Bengal. As much as different types of anti-government activities increases, situation gets hot, volatile and turmoil, so much is our opportunity. The post 25 March [of 1971—CPMLM-BD] time had created favorable situation for revolution. Without international help, the isolated from people, indisciplined armed activities of individuals, groups, Muslim Bangla carrier JSD or bourgeoisie cannot win victory. As East Bengal is geographically encircled by India, it is almost impossible for foreign help to reach here. So, the armed activities of the above-mentioned groups are sure to fail. That is, the future for Muslim Bangla, JSD or bourgeoisie to take power of East Bengal by defeating India and its lackeys via carrying anti-Indian armed struggle is dark. So, failure of their created armed activities will turn the patriots among them to join us. Therefore, it is natural for them to take other path to seize power. That path is the path of conspiracy and clique. The aim of carrying armed activities as part of conspiracy and clique is to create pressure on Bangladesh puppet government and India so that Indo-Bangladesh jointly come out from Soviet influence, or Bangladesh by coming out from Indo-Soviet influence, become US lackey or US lackeys are given share of state power. The meaning of it is to ensure US exploitation and plunder in India and East Bengal, establish its military Base and control in South Asia and Indian ocean. Part of that conspiracy may be creating Indo-Pak war, making riot, insurrection, military coup de tat in Bangladesh. 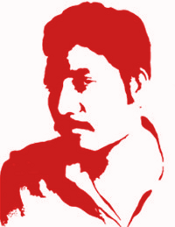 To make those conspiracy and clique success, they have to defeat Indian lackey forces in East Bengal, especially Raxi Bahini ( A genocidal counterrevolutionary militia forged by Awami Regime to tackle Marxist-Leninist-Maoist People’s War—CPMLM-BD) and Indian Armed Force. The inevitable end of that is massive war and repetition of situation like post 25 March. So, without massive war, bloodshed and chaos, it is not possible for the US lackeys to capture power of East Bengal. In case, this type of situation is created, our armed activities will strengthen in wide range of regions in East Bengal and vast regions will appear as our occupied area. During 25 March, we didn’t have good preparation, yet we had mass development. At present, due to our good preparation, we shall have unimaginable development. It will be best answer to US conspiracy. As a result of recent talk between Nixon and Brezhnev, the contention between Soviet and US in South Asia may transform into collusion. As a consequence, there is possibility of US lackeys to have share in state power in East Bengal-India and collusion among Pakistan-India-Bangladesh. In such situation, US-created armed activities will end and US-lackeys will be unmasked. Patriotic people and guerrillas by understanding their deception will leave them. Many of them will join the Proletarian Party. No doubt, the collusion among US, India and Soviet will increase unity and strength of enemy alliance, but there will be no contestant or masked enemy in armed revolution in East Bengal. We shall gain opportunity in that case. Only the Proletarian Party of East Bengal, without any foreign help is able to free East Bengal by relying on people through protracted People’s War. This is why, except imperialism’s lackeys, whoever carry armed activities, today or tomorrow have to join us or be smashed. Therefore, we have to start massive armed struggle and raise it to higher levels. At the same time, we have to expose the real character of those groups who are carrying armed activities like Muslim Bangla carriers (JSD), be cautious about their rival activities against us, take self-defensive measure and continue to try to unify genuine patriots among them. ▬ The US has carried armed activities for long days by overthrown feudalists of People’s Republic of North Yemen via Saudi Arabia. ▬ They carried anti Iraqi government armed activities by Kurd tribes in Iraq. Iran has helped in it by the order of US. In all those cases, armed activities is going on due to US help. But US has no scope to provide help from outside in case of Bangladesh (Burma border can be closed by India and it is not possible to provide help by sea too). This is why it is not possible for the US to carry armed activities in East Bengal for long days. When working in an area, we have to find out our political opponents, also find out those who were opponents in the past but presently are allies and those who may be opponent in future. Consider what situation may emerge in case of connection of them with the enemies. We have to try to bring opponents in friendly relation. If they do or do not come to friendly relation, take measure so that in no way they can hinder our independence and initiative (regardless of their connection with enemies) or cause harm to us. Kuddus Mullah, Nizam etc. were in our grip. They are the ones who later joined their hands with enemy to overthrow us. If we had taken necessary step by thinking about that possibility, we could have fewer losses. Though once Siddiq of Bhola was in our grip in the past, now he is hindering our initiative and independence.